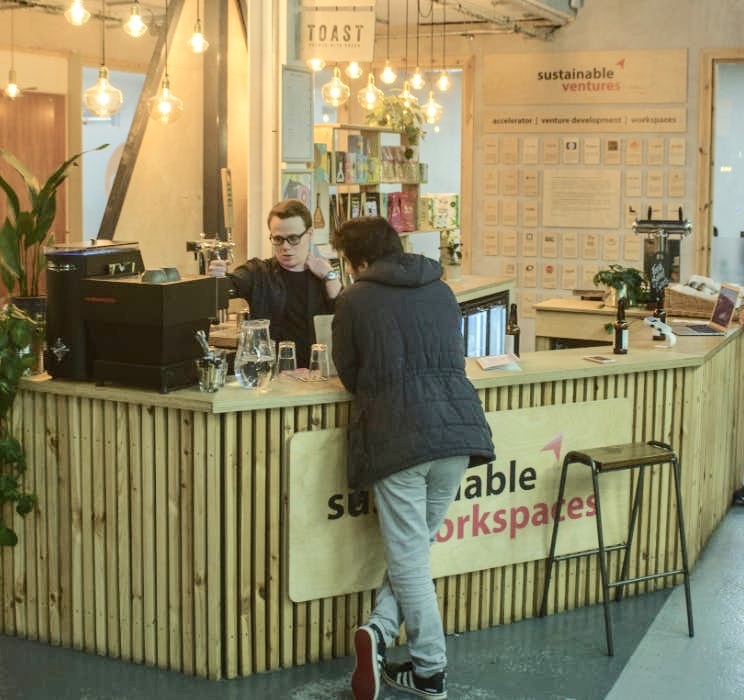 Sustainable Bankside is a coworking space for start-ups and established businesses with a positive social or environmental impact on the world. Companies varying from one-man bands to over 50 employees, all sharing a space just by the Tate Modern, 8 minutes from Mansion House station. 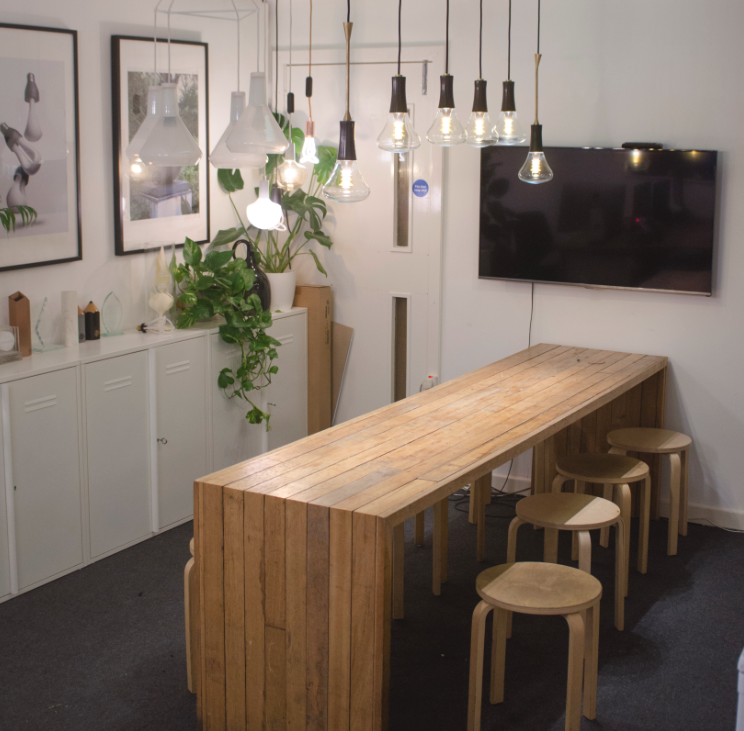 Plumen has a private office with four desks available to rent. We are a team of 8 making designer low energy light bulbs. 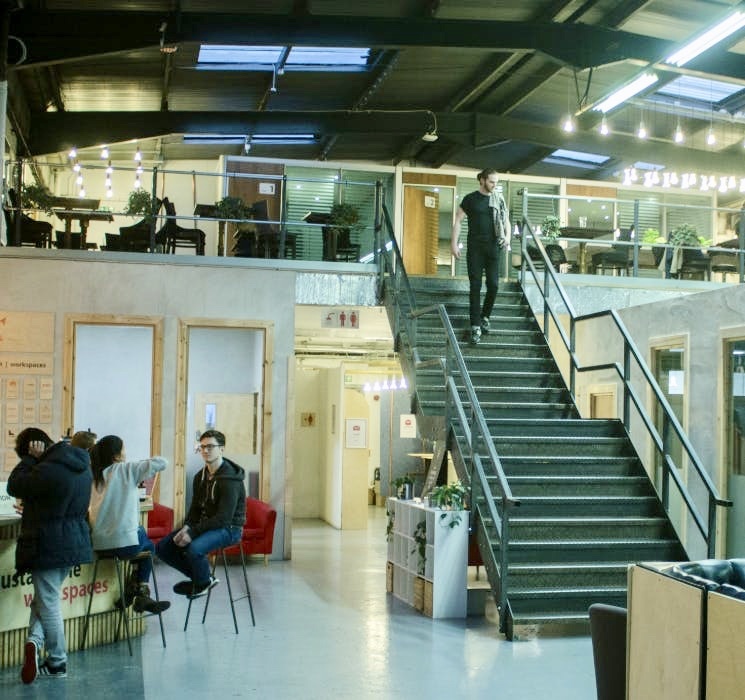 Our office has its own meeting area, plus there are further communal areas in the space. Sustainable Bankside is 200m from the Tate Modern and the Globe Theatre. The space is filled with lots of start-ups from many industries all working to have a positive social and environmental impact. Our office is separate from the rest of the space and is quiet with great light.